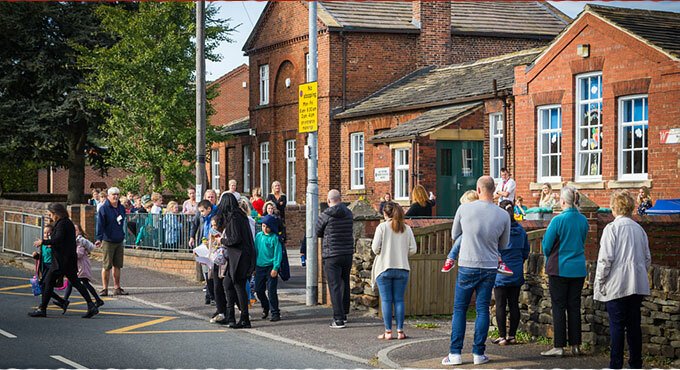 Parents/carers play an important part in their child’s education and at West Bretton we aim to involve them in school life as much as possible. At the start of each year we hold transition meetings for parents/carers informing them of the next steps in their child’s education and any changes that will take place compared with the previous year. Every week we send out a school newsletter giving parents/carers an overview of what is happening in school and, in addition to this, staff may send out a weekly class newsletter with their homework informing parents of what the children have been learning that week. Staff also send out curriculum letters at the start of each topic. These give an overview of what their child will be taught that half term/term. Throughout the year we hold parents information evenings/ mornings on particular curriculum subjects. These have included Read Write Inc – how we teach reading and writing, maths – the four rules and curriculum workshops led by the children. Parent booklets are also available to assist parents in supporting their child in Maths and English. Throughout the year we hold parent assemblies whereby parents/carers and extended families can celebrate the learning that their child has done. We also put on many performances for families throughout the year. These include harvest celebrations, carol concerts, nativity performances and summer performances. Parents and extended family are also invited into school on special themed days such as Christmas Sparkle Day and Science Week. Here they work alongside their child in their learning. We appreciate parental help on trips/sporting tournaments and parents are always very welcome to work alongside groups of children within the classroom. This includes helping hear readers or assisting with curriculum subjects such as art and design technology. We keep parents informed of their child’s progress at the parent/carer evenings held in the autumn and spring terms, and also parents receive an annual report at the end of the summer term. Parents/carers are very welcome to make appointments to see staff at other times during the year. Parental views are obtained on a regular basis throughout the year through the format of questionnaires. The results of these are discussed and used to assist our school development. Parent Info is a new free service for schools, providing a collection of articles, tips, expert advice and resources designed to help parents keep up with what their children are doing online. Please note, West Bretton School is not responsible for the content of external websites. What's happening in school? Check out our calendar of events.